Make sure your relay actually works. circuit works. adding gnd instead secu to relay light comes up. in manager ce error is active . wiring I scanned all is correct from secu to relay. CE output is not working and octane correction too. 1. Can YOu in next relies add ce output to be remapped to other outputs . That CE also can be on positive output. 2. Octane correction dose not change any readings with stroboscope. switch to petrol car runs on petrol. switch to LPG . LPG solenoid opens. "GAS_V" turns off fuel pump, switches to gas map and gas dosage and all that belongs to gas. 4.Or do I need this switch? 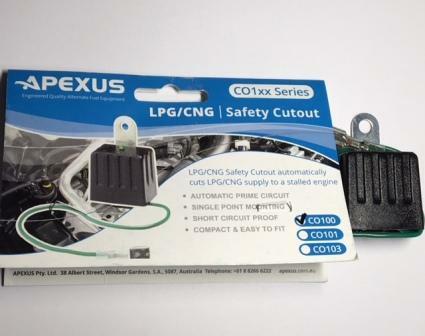 Gas_V+12v switch activates secu gas map, kills fuel pump and one of secu outputs unlocks gas solenoid when it see engine turning. 5.If I use LPG carburetor with gas dose , I still use secu-3t_m644_rev9_dwell.a90 ? Hmm, interesting suggestion. I will add it into the TODO list. Если я правильно понял твой Английский, то ты имел в виду возможность переназначения СЕ на IE, FE. There are many accessories unknow for me in the gas systems catalogues. Is there a relay for the electric fuel pump? Does a wire from ignition key turn it on? I think that it takes to use the wire from the petrol/gas switch instead of the one from the ignition key. I don't know if it's the right way. Would it work this way. then I can skip fuel cut off solenoid. May I ask some questions,please? I'd like to know what LPG system you're going to buy,I'm interesting in the regulator,the petrol-gas switch and other electric accessories. I can't understand what they mean about some regulators and switches for cars with a carburator. Maybe they're discontinued parts or they can't be approved everywhere. I hope not to be wrong about Secu-3 and the second ignition map selection for LPG. "Gas_V" is the imput to select the LPG map,right or wrong? 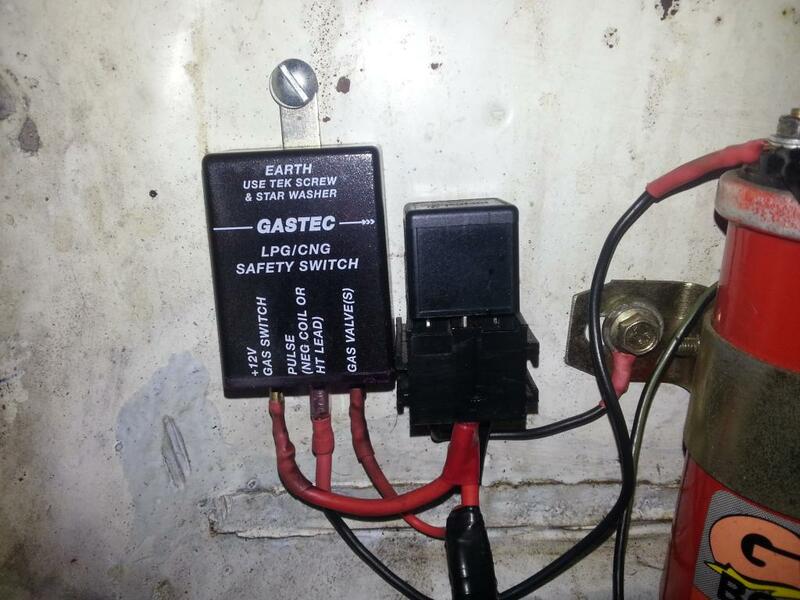 The wire from "Gas_V" is connected to the LPG solenoid valve. If it's right and I'm not wrong the Secu-3 doesn't mind if there's a mechanical petrol pump and petrol solenoid valve or an electronic injection or an electric fuel pump. I don't know how to use a relay in the right way and how many sorts of them there are. What sort of relay did you use for the elctric pump? Once upon a time they used a tachometric relay. It was a safety device because it used the signal from the coil,if there was no ignition it stopped the electric fuel pump. After that device they introduced a sort of button on injected cars,I don't know its right name. That was easy to understand and to use. 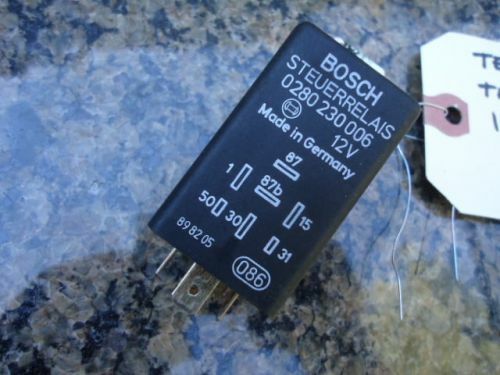 That was used on a petrol car with an electric fuel pump like a tachometric relay. The second device's vendor said that it also can be used for fuel electric pump on petrol cars. I think that it's a good tip. Then I found a petrol-gas switch for cars with carburators,the same you've shown. I don't understand what they mean,there were no schemes. Maybe there are other devices or safety modules. Will you fit a LPG level gauge? Switch for "fuel-gas" for lpg is replaced with secu fuel pump output thru 2 relays.as schematic above. the original lpg switch is as safety. when engine is not turning solenoids are closed for gas. The gauge is going directly to my dash. so I can simply skip that has switch and use any 3 position switch. 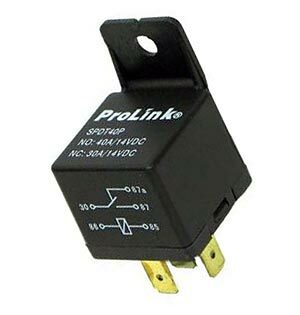 any 12v car relay can be used. and connecting Gas_v to gas relay output secu activates gas map and all other things that belongs to gas map, like gas dosage.